Winix WAC9500 True HEPA Air Purifier is made for a single room air purification up to 284 square feet (26 square meters). This machine is also known as one of the best for pets, it has a great filtration system eliminating 99.97% of common airborne pollutants. 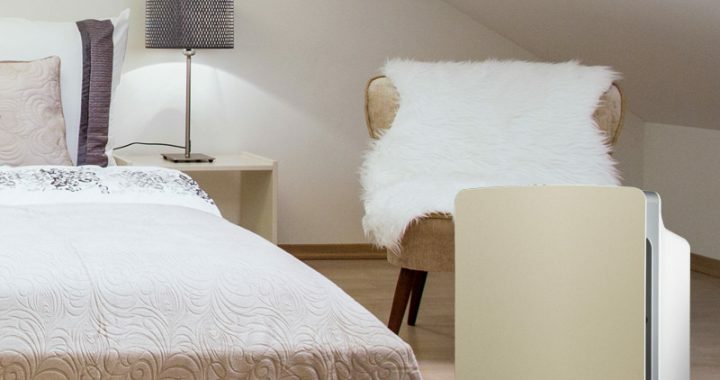 It also has excellent odor control presenting it a great air purifier for anyone who suffers from asthma, allergies, or various chemical sensitivities. Winix WAC9500 has a simple design without any fancy elements. The machine is relatively large but not huge. It has an ergonomic design with air inlet through the front panel and air outlet through the top of the machine. On the upper side of the front panel is a good screen with controls. Behind the front display are filters and a fan. On the top is remote control cradle. Reviewing this 18.8lbs (8.5kg) heavy air purifier I was surprised that it doesn’t have a carrying handle making it quite difficult to move it from one place to another. Winix WAC9500 has a multiple levels filtration making it as a really powerful air purifier. First behind the front grill is pre-filter. It catches largest airborne particles such as pollen, hair, and dust. Helps to extend the life and efficiency of the HEPA filter. Behind pre-filter comes True-HEPA filter. It captures 99.97% of particles as small as 0.3 microns, including pet dander, mold spores, and other small pollutants. The antimicrobial guard is made of tiny silver shreds. The Nano-silver mesh material presents excellent germ security, neutralizing bacteria on touch. The last is activated granular Carbon filter. It is washable and is very powerful at catching and neutralizing strong, tough to remove odors, including ammonia, pet smell, organic decay, and cigarette smoke. Here my thoughts disagree with the manufacturer. As they say, this feature creates thousands of negatively and positively energized ions every second to create plasma clusters which instantly neutralize chemical vapors, bacterias, odors, and gases in the air. You may say great and why don’t you like such a great feature? My answer is ozone. The manufacturer says there is a negligible amount of ozone generated during the PlasmaWave process but as I have tested this feature doesn’t do many changes in the air so I would suggest to better keep it turned off. So this air purifier eliminates pollen, lint, hair, spores, mold, pet dander, dust mites and most of the household dust and smoke particles. Reduces airborne bacteria and particles that carry viruses. Absorbs low odors and chemical vapors. That’s way better than competitors can do in this price range air purifiers. Here comes the best part about this air machine. It has fantastic features and you don’t overpay for them as this machine is one of the cheapest in its category. Light sensor activates sleep mode when the room is darkened. In sleep mode air purifier quietly using lowest fan speed. Also, the control panel lights will dim. Filter change indicator will let you know when its time to change the complete filter cassette. Timer allows adjusting performance to your choices. Programmable and handy remote control. Operate within 20 feet of the air purifier, allows you to turn on and off the machine, plasma wave on/off button, timer button, sleep button, fan control, auto and turbo buttons. Smart Technology. Winix WAC9500 has sensors that detect light, odor, and dust and automatically sets the fan speed according to what’s required. With this technology, you can save cash because it doesn’t work any faster than it requires to, and that saves electricity. On lowest fan speed machine is very quiet – you can easily sleep without problems. Middle speeds are quieter than a laptop fan. 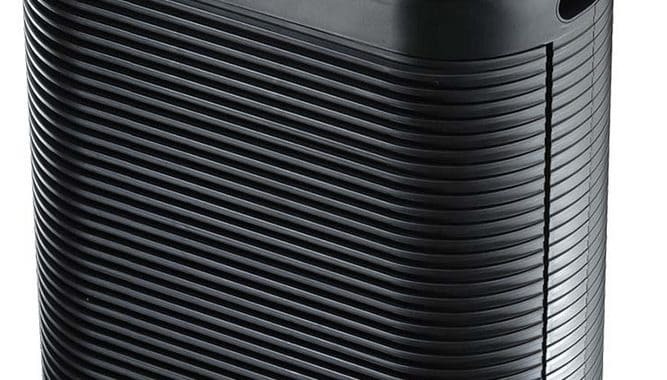 Turbo is quite loud as other air purifiers with powerful fans. The CADR is 182 for dust, 183 for smoke, and 194 for pollen. As other electronic devices clean it regularly with dry, soft cloth. Clean pre-filter, and Nano-Silver Mesh/Carbon Filter every 3 months with normal use. The process isn’t complex and hard, just follow the instructions from the user manual. The filters can be washed up to 6 times without requiring to be replaced, but inspect them after every wash to guarantee they’re still in great condition. Lightly vacuum the dust sensor every 2 months after removing the front panel. Change whole filter cassette when indicator says. Normally it should be once per year. 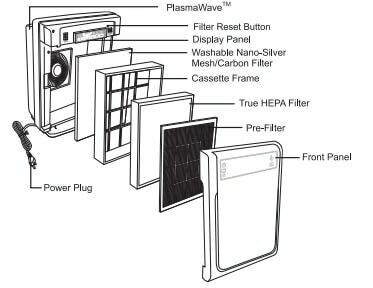 Please do not wash HEPA filter, never attempt to remove it from cassette frame. Overall Winix WAC9500 True HEPA Air Purifier is really great, it has only a few insignificant cons. The pros are much more including powerful and multi-level air filtering, smart technology with auto mode, remote control and much more. This is one of the best single room air purifiers in its price range. Highly recommended. Many great features including an auto mode, remote control, timer, sleep mode etc. PlasmaWave emits ozone. Luckily, you can turn it off. Clean the Pre- Filter every 3 months. Replace filter kit (included all filters) annually. On low, you can’t hear the unit is even running. Turbo is quite loud. Middle speeds are quieter than a laptop fan. Posted in Air Purifier Reviews, Reviews and tagged Air Purifier review, HEPA, HEPA Air Purifier, Winix air purifier.